North Carolina Congressman George Kenneth Butterfield Jr. was born in Wilson, North Carolina on April 27, 1947 to a father who was a dentist and civic leader as well as the first black elected official in eastern North Carolina in the 20th century; and a mother who was a classroom teacher for 48 years. Butterfield attended Charles H. Darden High School and graduated in 1967 before going to North Carolina Central University in Durham, North Carolina. He graduated with a sociology and political science degree in 1971. In 1974, he received his J.D. from North Carolina Central University School of Law. After serving in the United States Army for two years, Butterfield became a successful lawyer known for helping the poor people who had extraordinary legal problems. In 1988, Butterfield was appointed Superior Court Judge in Wilson County. In 2001 he was appointed to the North Carolina Supreme Court. 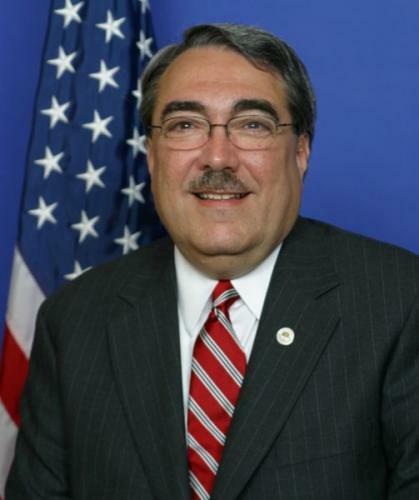 In July 2004 Butterfield was elected to the United States House of Representatives as a Democrat by special election, to fill the vacancy caused by the resignation of United States Representative Frank Balance. Since winning that special election for the First Congressional District seat, Butterfield has been twice re-elected to serve full two-year terms in the House. He serves on the Energy and Commerce Committee and on three sub-committees: Energy and Air Quality Commerce, Trade and Consumer Protection; and Environment and Hazardous Materials. Butterfield was also assigned as one of eight Chief Deputy Whips responsible for helping to formulate Democratic policy and insuring the passage of legislation by maintaining good communication with members. He is the first Democratic member of Congress from North Carolina to serve as a Chief Deputy Whip. Butterfield is a life-long member of Jackson Chapel First Missionary Baptist Church in Wilson where he served as Chairman of the Finance Ministry. He is the proud father of adult daughters, Valeisha and Lenai. Presently, Butterfield still serves as Congressman for the First District of North Carolina.